My friends Lorena, Rosie, Amanda and I are waking up pretty early on Saturday to head to the Dodgers White Sox Spring Training Fanfest March 3rd. 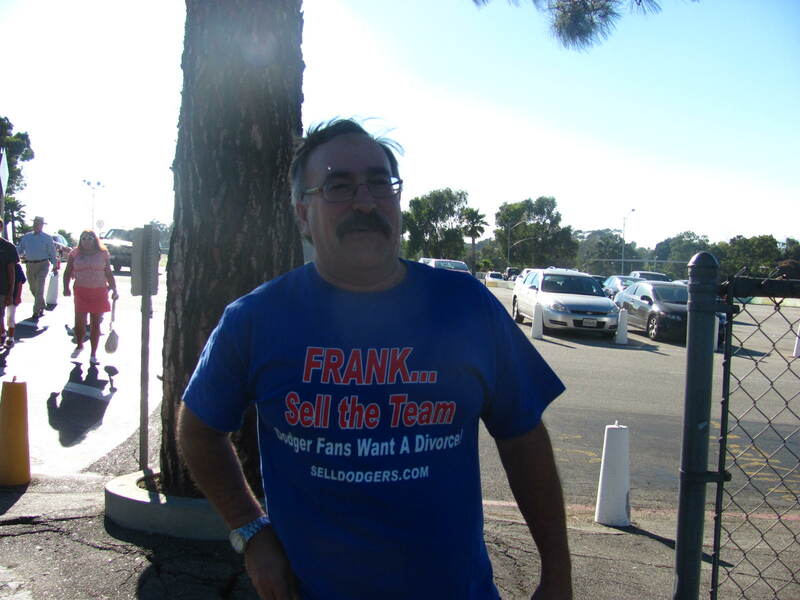 Hmm, let’s see…gates open at 8;30, a six hour drive. Man! that is pretty early and this is a turnaround trip. Concourse Activities include the Free Agent Sports Marketing Sports Card and Memorabilia Show, speed pitch, fan photos, kids’ inflatables, a Phoenix Coyotes booth featuring Howler, a Glendale fire truck, and a Cactus League book signing with Hall of Fame pitcher Gaylord Perry. Promotional items include bobbleheads (first 250 children 12 and under), Coyotes ticket drawing for the March 3rd game at neighboring Jobing.com Arena, spring training raffles, and other sponsored giveaways. Arizona Sports 620 Radio will broadcast from the stadium during the event. Concession stands and the Clubhouse Store will be open. The ticket office will be open from 8:30am-4pm for fans to purchase game tickets. Here is a picture from last March at Camelback Ranch. Andre Ethier, Margie, Lorena and I.
I also won another book. “Bat Boy: My True Life Adventures Coming of Age with the New York Yankees by Matthew McGough. Matthew was in the audience so he signed my book. He was there with his two beautiful young kids. Even though I have the book I will attend the Baseball Reliquary when he will be speaking about his book and having a book signing. My friend Abby who is a huge Yankee fan, said is a fun read. Thank you Abby for the two Dodger books you have sent me! Let me know if there is anything I can send your way. I plan on getting the Gaylord Perry book too. So many books to read, so little time. 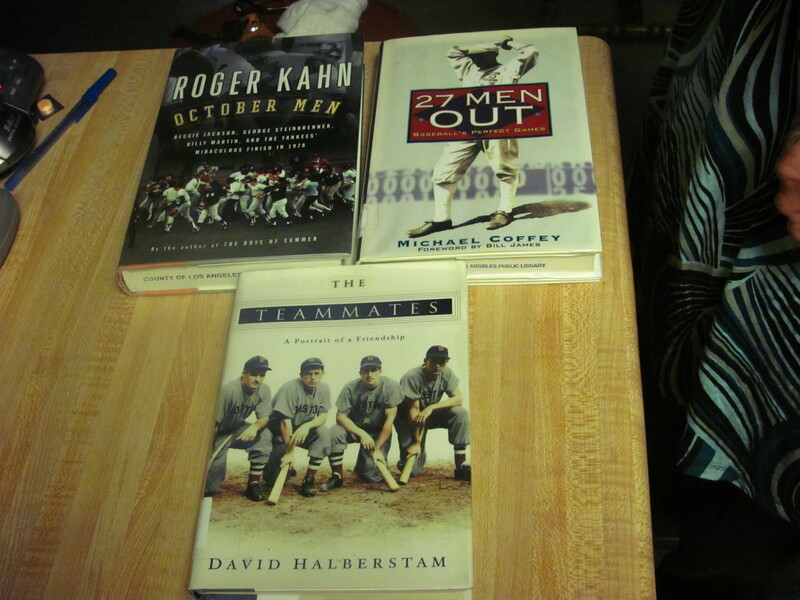 I plan on reading on my way to Camelback Ranch. The good: Chad Billingsley pitched seven great innings. He struck out 13 D’backs and went out winning the game 4-1. The Bad: The Sherril and Broxton. Again, they let it get away. Sherrill gave up a two run homer. That was Tony Abreau’s first homerun. In came Broxton who gave away another two-run homerun. I have said this many times, they should have shutdown Broxton some time ago. I dropped him from my baseball fantasy a long time ago. This loss was tipical of other losses this year. The ugly: The McCourt’s divorce. I had forgotten I had taken this picture in the Summer. Thank God for Michael Connelly. Without him, Los Angeles would just be Houston without humidity, Phoenix with the sea..
We’ve still got Vin Scully, at least for another year, Huell Howser, the Lakers. And we’ve got Connelly. To quote another L.A. luminary, Randy Newman: I love L.A.
Talking about books, I found three more books that a local library discarded. I got lots to read this off-season.